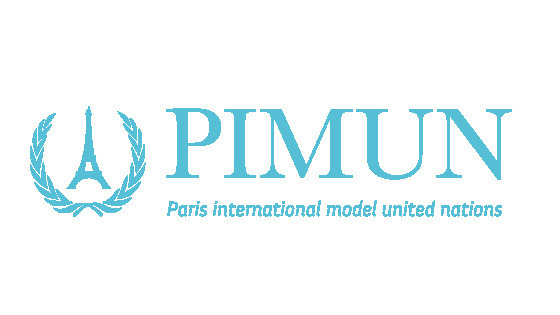 I am raising 600 pounds in order to fund myself for attending a 4 day Model United Nations conference in Paris. It is an amazing gathering of more than 600 students from nearly 60 countries. Participants of the conference engage in four days of debates and problem solving of issues that are taking the highlights in global news: immigration, global warming, nuclear weapons and much more. Taking part in such a conference is remarkable chance of improving one's negotiating skills, but also the ability to speak publicly and react quickly to changing environment. But beyond all is the opportunity to share an amazing event with people from all corners of the world and enrich one's view of the world. I am an Essex student in International Relations currently on a year abroad in Israel. I've joined the local Model United Nations society and I am looking for ways to participate in most MUN conferences as possible in Israel and abroad. These conferences have provided me with incredible way of not only developing my negotiating and public speaking skills, but more importantly to identify personal weaknesses and meet new people from all over the globe. I am a student in constant search for self-improvement. Currently on a year abroad in Israel, I have joined the local Model UN club hoping to improve my public speaking and debating skills. It turned out to be much more than that. Joining a club with mostly local students not only from the university I attend, but from various academic institutions throughout theCouuntry, was a great way to exceed beyond my comfort zone and learn a lot about the culture of others and also a lot about myself. I seek participation in conferences abroad as an opportunity to challenge myself at a larger stage. Debating and competing with delegates throughout the world gives an even better experience of understanding different points of view, angles, and beliefs. If any extra funds raised, they will go towards living expenses. There are some amazing rewards for YOU at only a small donation away ! You don't need to give money to support the project, but it would be amazing it if you did! Please sponsor it and help make this happen. Thank you very much for your donation! You are going to be mentioned as a hashtag on one of the Instagram photos posted from the event. Thank you very much! You will be mentioned in all photos posted from the event on Instagram! Thank you very much for your generosity! You will receive a personal thank you video and also will be featured in all Instagram photos taken from the event! You are incredible! For your remarkable support to this project you will receive a French beret, a post card from the city of lights and you will be featured to all Instagram photos posted from the event!